Email marketing is often seen as a simple, easy, and inexpensive way to reach consumers. Email marketing remains one of the most effective marketing channels for the amount of money that it costs. 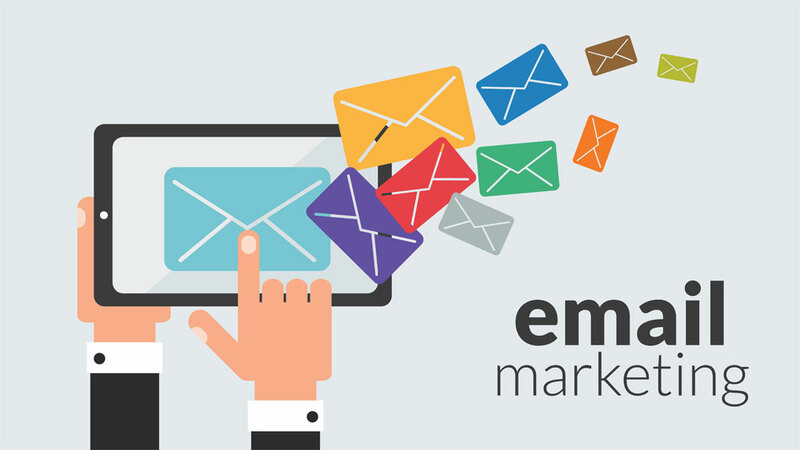 With people connected to the Internet and their mobile phones more, emailing continues to gain popularity. More people are on their smart phones checking email whenever it’s convenient for them. There are several ways to encourage more people to read your auto dealership’s marketing emails. 1. Clear Message: Think of it like a movie trailer. If, from the trailer, you can’t figure out what the movie is about, you’re confused, or you’re just not interested, you aren’t going to watch that movie. Your email’s subject line needs to provide enough information that the reader knows the topic of the email without giving away so much information that they feel like they don’t need to open and read it. 2. Memorable title: Your first priority with an email is to capture the car buyers’ attention. Whether you use a catchy phrase, an alliteration, or a joke, it needs to be something to hook the reader in. All the time put into your auto dealer’s email campaign will be wasted if no one bothers to open the emails. 3. 30-50 characters or less: A concise subject line is key. The recommended limit of characters varies between industries and topics, but the thing to remember is to engage the reader so that they open the email. No one likes to read long subject lines, so readers will likely pass right over a subject line that’s too long for their liking. 4. Numbers: From a young age, we were taught to make sense of numbers, so naturally, they catch our eye. When your subject line contains something like “5 steps to leasing a new vehicle,” readers can estimate how long and in depth the email will be. With a subject line like “Buy 3 tires, get 1 free,” your target audience knows the content of the email and what type of sale is going on at the dealership. 6. Test it out: One way to test the effectiveness of an email subject line is through sending out the same email with two different subject lines to different people at the same time. Your dealership can then analyze the email open rate to see which had more success. 7. Timing: This is another email campaign variable that can be tested. Comparing different scheduled times for emails to be sent can be very beneficial. Different audiences may check their email and be more attentive at different times of the day. Email open rate can be impacted drastically by the time emails are sent. 1. Valuable information: Readers want to read content that is relevant to their lives. It gets old to consumers when all that automotive dealers send out is promotional emails. Instead, try to mix in helpful tips and tricks such as “How to decide between leasing and financing a car,” “Where to change your oil under $15.00,” or “Guidelines on when to get your vehicle serviced.” Topics such as these will keep your readers interested and maintain higher email open rates for your promotional material. 2. Valid information: Whatever your subject line claims the email is about should be what the actual email contains. One thing that people really don’t like is to be misled. Deceptive emails are illegal just like all deceptive advertising. When a subject line contains “puffery” or some sort of unjustifiable claim, your company’s emails will likely end up in the “Spam” folder. Long-term credibility is much more important than higher email open rates for a single email. 3. Informal but polite: You can grab the readers’ attention by saying something like “Hi there” instead of “Dear” to address your audience in an email. Some people like to be addressed as a friend instead of just your company’s customer. If you take this informal approach, make sure to preserve a polite tone. Test and analyze this strategy in the auto industry because some consumers don’t like it when companies act like they know them. 4. Mobile design: One of the reasons that email is so popular in business and pleasure is because it is fast, easy, and mobile. People often check their emails on the go or in between activities throughout the day which means that it often happens on their cell phones. Therefore, it’s important that your email’s subject line, preview pane, and content are all conducive to mobile email apps. Email can be a very effective method to market to and communicate with your auto dealership’s target audience. Improving email open rates is vital to get your audience to read your email content. However, email content is also important because people might not open your next email if the last one had irrelevant or unhelpful information. Try out some of these techniques to see how it impacts your dealership’s email marketing campaign! Comments 0 Response to "7 Ways Dealers Can Improve Their Email Marketing Effectiveness"